I met the Fontaine boys almost ten years ago at one of their famous sales. A visit to their old showroom in Margate was a wonderful assault on the senses, but more significant was the immediate sense that these were good, kind people. First impressions didn’t lie – they are. Next year, they will have been together for 30 years, renovated at least 17 houses together (possibly more), always in the ebb and flow of a steady bond. They sell the most beautiful things, but their kindness and honesty are what always strikes me – and their adventurous spirits. Who else could restore so many homes and stay together? 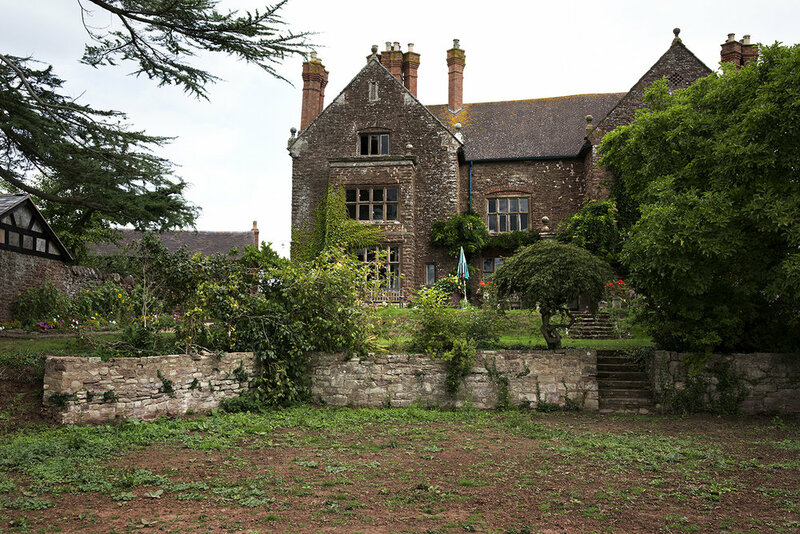 Their new home is in Herefordshire – a colossal beauty/beast of a house that few people could tackle with such sensitivity. Originally built for furniture maker, Lloyd Loom, Kiel and Stuart are carefully restoring it into a home and business of great beauty. It will house not just them, but their business, their dogs, Stuart’s garden - and just as importantly to them - their friends. On the day of the shoot, there were tradesmen everywhere. The barn, that once housed a slightly suspect swimming pool, is almost ready to start its new life as their showroom. New windows were going in, sets were being built for the next Decorative Fair and the painting goes on and on. Everyone in and out, with Kiel and Stuart comfortably steering the day. As we walked and talked, I realised that beyond the numerous stunning renovations, and the antiques of beauty and wit, the pair of them are their home. Over the years, the various locations and buildings that have become a visual manifestation of who they are and what they do are almost secondary. They have created places and stories of great beauty, but it seems they can do it all because they are together, for each other and anyone who they welcome in. Kiel and Stuart tell us how their upbringings and each other, have shaped what home means to them. Kiel: I had a very frugal upbringing. I spent most of my childhood in rural Northamptonshire. We always seemed to live beyond our means and not because we had any luxuries. There was no creativity at home. I had to share a room with one of my sisters. We divided it with cheap melamine wardrobes and I took particular pride in my part of the room, stacking my Beano comics neatly and even making my own bed. I liked it to look nice amongst the chaos of my home life. One day after school when I was about 12, my parents told me that we had to leave in the morning because our house was being repossessed. I had to pack a bag, and everything had to go into the back of our Vauxhall estate car. I chose my Beanos, we had to leave so much behind. This separation and expulsion taught me a very early lesson about life. We were all eventually rehomed in a large council house. I had my own room and decorated it myself. I tried to help decorate other parts of the house and I allocated myself a small section of garden where I planted some shrubs (far too close to each other as it became evident). I spent hours in my room where I would listen to music and do cashflow projections of how much I could save with my paper round and milk round money. I wasn’t going down the same path my parents took. My parents weren’t interested in design and our home was basic. I made my own choices about decoration and this pride in my own space I think often surprised them. I don’t know where it came from. Stuart: I’m a Kentish boy, born in the Medway towns. My father worked in the oil business and earnt a very good wage. We were the typical ‘must have’ family with the latest trendiest seventies furnishings that money could buy - shag pile carpets, avocado bathroom suites and cork tiles, even a canary yellow Lotus Eclat! My parents got divorced when I was about 13. I was lucky to have had so many friends who were all alternative, slightly post-punk new romantics which fitted perfectly with me. Most of them were older and looked after me at school. I struggled at school academically so left school and home early, went to college and shared my time between Broadstairs in Kent and Brixton in London. My father had very little time for design, but my mother loved to collect things and so did I – I think I get it from her. I collected cigarette packets - my walls were adorned with them! My mother and I did lots of boot fairs together and I loved selling our old Coleman Mustard signs and collections of pottery. She longed for a pretty cottage in the country and when I left home, she sold her house and did exactly that, filling it with the most quintessential English cottagey things. It was like a womb and it had a huge influence on me because I like to fill my space with objects and make it very homely. We have moved many times, to many different locations - cities, rural - UK and France. But it’s always been the house first with us - the aspect, the potential, the feeling. We’ve always preferred older properties – our first house was a Victorian terrace in East London. Each house was a stepping stone, taking from it the best attributes and transferring them to the next property whilst adding new ones. Our current house we feel has something of everything from all the houses that we have ever lived in. The stonework of the French manoir, the entertaining space of another French farmhouse, the pleasing symmetry of Georgian style windows, the oversized fireplaces. We would never take on something that has been already restored – we need to do that ourselves as it gives us a feel for each house and helps us to set the perfect stage for our collections. I hope people think that our home says a lot about the sort of people we are and the friends that we have. Stuart loves to entertain and cook for guests but by his own admission he is the worst house guest. These days, our home has to give us something back. Moving the antiques business next to the house will help this - everything we love in one space. When we’re not working, we want space, privacy and sanctuary (not just for us, but for our friends). Also, a degree of self-sufficiency from the garden and an outhouse with a freezer for all the summer spoils The garden is going to be a big project, but Stuart loves to grow things and the quiet contentment that it brings him. 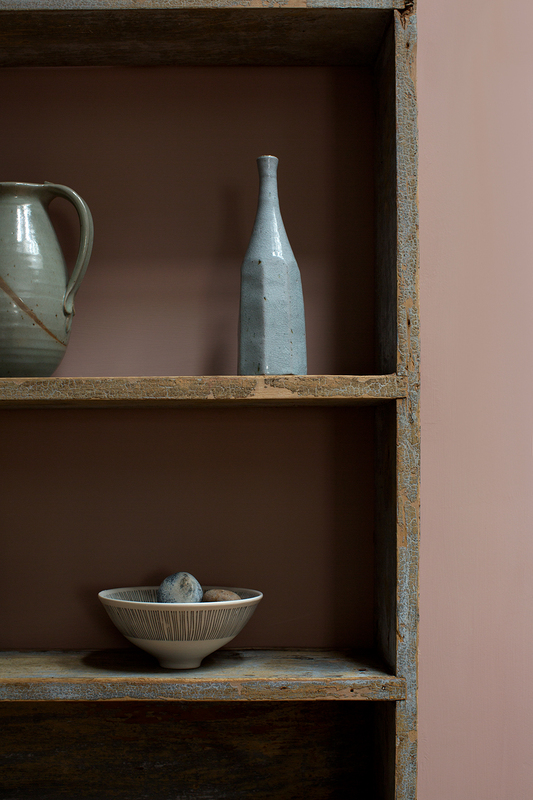 Our work within the antiques field influences and teaches us the most about home and our homes. Every location has its own influences – the architecture, the house, it’s features and spaces. The seasons, the light, the weather and objects all play a part in this home-work relationship. 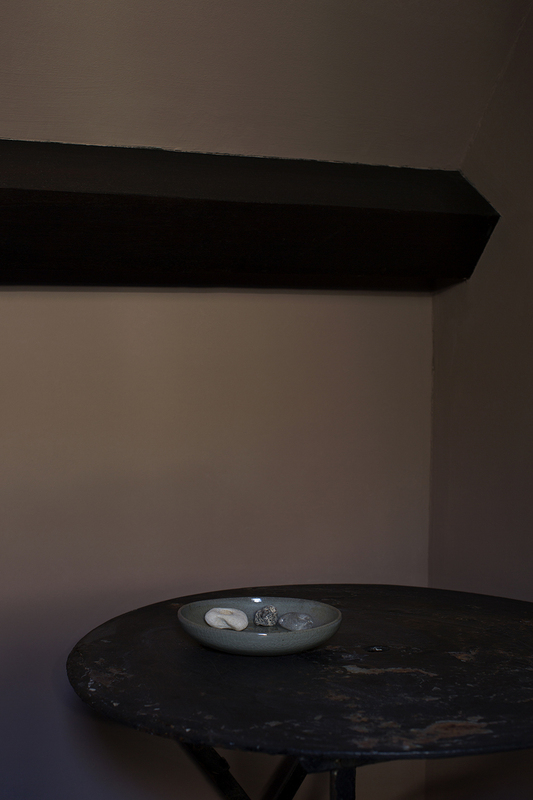 Sometimes we need to photograph items in situ and create vignettes within the home to help achieve this. But it’s a two-way process – work feeds home and vice-versa. Our business has spoilt us. We get to see, handle and buy some of the most wonderful objects and even if they are intended for resale, many end up in temporary custody within the house. All of these beautiful things are sometimes just stacked against a wall without proper display, but its all part of our process. Most importantly - our home is a working home, with dogs, friends and hopefully without any pretension. We would hate to be thought of as contrived and pretentious! Perhaps we’re both secret bohemians. We’ve never really thought of what we do as 'design'. What we choose and how we put things together is always evolving because of our business. There’s an incredible amount of people who really know what they like when we see it but don’t have the first idea of how to achieve it. Interiors can define how people live, how they feel and relax and how they work. They need to reflect familiarity, comfort, belonging and personality. Designers know how to collate these ideas and create something which can be magical but we’ve always found our own way. Home is definitely a fusion of life, collaboration and experimentation for us. More than that though, it’s a place that gives us the confidence to do these things and to be bold. It’s an achievement and a challenge at the same time but must remain constant and safe. The road has been very tough at times, but we become more hands-on each time, although we always swear that this one would be the last time. And this house is the definitely the last one!